Art and Design contributes to the development of the whole child emotionally, aesthetically, creatively, intellectually and socially. Art is a way of exploring the natural and man-made world using both observation and imagination. Through the development of many different skills we attempt to acquire both knowledge of artists’ work and a desire to create our own. We at Wood Street aim to engage, inspire, and challenge pupils as well as reflect on their work and the work of others. We aim to inspire an interest in the arts how they shape our history and contribute to the culture, creativity and wealth of our nation. At Wood Street school we teach the children skills in drawing, painting, collage, sculpture, paint, textiles and digital media through our enriched school curriculum. We inspire children through the appreciation of others artists work at galleries, through prints and through visiting artists in school. 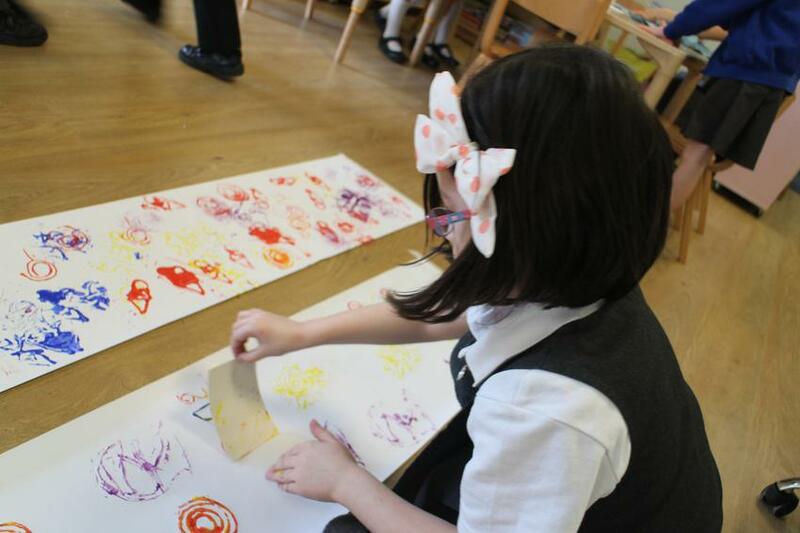 Whole school events and parent workshops are also organised to encourage and nurture the creative culture of the school.